The government of India is beginning to seriously consider a universal basic income, as recent remarks by Chief Economic Adviser Arvind Subramanian reveal. 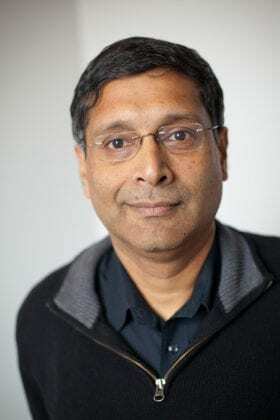 As previously reported in Basic Income News, Arvind Subramanian, the Chief Economic Adviser to the Government of India, has revealed that the pros and cons of universal basic income will be studied as part of the next Economic Survey–an annual report on developments in India’s economy which is prepared by the Ministry of Finance and presented to Parliament. Since this time, Subramanian has reaffirmed his commitment to investigating UBI. 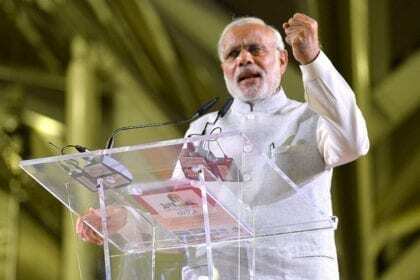 In addition, he had divulged further details of the proposed UBI program that might be considered by the government of Prime Minister Narendra Modi. A few days later, while addressing at audience at prayer meeting at Gandhi Peace Foundation in New Delhi on the occasion of the birth anniversary of Mahatma Gandhi, Subramanian elaborated upon some of the challenges associated with the implementation a UBI. As described in a report in The Indian Express (dated October 3), he laid out several objections that Gandhi might have taken to UBI, before responding with considerations in favor of the policy proposal. At the same event, Subramanian dropped hints about the type of policy that the national government might be considering, mentioned “a proposed new scheme through which the Narendra Modi government is considering giving unconditional cash transfer of about Rs 10,000-15,000 on an annual basis to each and every citizen in the country” . Although India has played a significant role in the basic income movement in recent years–Madhya Pradesh was the setting for two successful pilot studies conducted between 2011 and 2013–the recently expressed interest from Subramanian and the Modi government is a turning point. It should be noted that the government’s interest in UBI was not a response to the pilot studies conducted by Self Employed Women’s Association (SEWA) and UNICEF, but arose independently. Indeed, neither Subramanian nor any other government official has referred to these these pilots or the book they spawned (Basic Income: A Transformative Policy for India) in their public comments on basic income–as sociologist Sarath Davala, founder of the India Network for Basic Income (INBI), reports in comments to Basic Income News. Before Subramanian shifted attention to UBI, the government had discussed direct benefit transfer (DBT) programs, intended to reduce efficiencies in the distribution of aid by transferring cash subsidies directly to the bank accounts of beneficiaries. To the Indian government, UBI, like DBT, is attractive primarily as a pragmatic means to reduce bureaucracy and administrative costs. 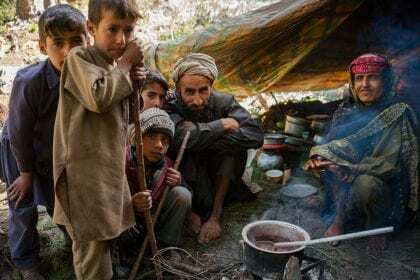 For similar reasons, some states of India are already experimenting with replacing India’s largest welfare program, the food security program–widely regarded as inefficient and ineffective–with a cash transfer. Correspondingly, recent political discourse on UBI has remained focused on welfare delivery and efficiency rather than (for example) individual rights or social justice. INBI, BIEN’s Indian affiliate, has expressed support for the inclusion of UBI in the Economic Survey and offered to assist the government in this project (such as by providing data and qualitative assessments from the earlier pilot studies); however, at the time of this writing, it has received no response. Additionally, INBI is planning a national conference in Delhi to take place in late March 2017, at which it will present its position on UBI to the national government. According to Davala, Subramanian’s recent remarks are significant because they imply that the UBI is becoming mainstream and “no longer a crazy idea”. Speaking as part of INBI, he says “our job is made easier” by the attention and legitimacy that Subramanian and others are bringing to UBI. At the same time, however, Davala expresses surprise at the “radio silence” from traditional opponents in the face of the announcement of the inclusion UBI in the Economic Survey. In India, many on the Left oppose UBI, which they see as the government “washing its hands” of its responsibility to directly assist those in need (e.g., through transfers in-kind). Opponents from the Right, meanwhile, tend to worry that the policy wastes money on the “undeserving” poor and disincentivizes work. Davala notes, however, that both types of critics have largely remained silent despite the recent upsurge in interest in UBI. Davala himself sees two major sources of complication that pose challenges to the implementation of a basic income in India. First is the question of universality. In a country of 1.3 billion people, a fully universal basic income is likely to strike many as prohibitively costly, and a more feasible approach might be what Davala describes as “targeted universality”: the distribution of unconditional cash transfers to everyone within a certain sub-population (e.g. a universal income for all children or all seniors, for all individuals within a certain geographical region, or all members of a certain caste or tribe). While Davala agrees that universality is the ideal goal, he believes that it is likely to be most realistic to approach it incrementally, with such targeted universality adopted as an interim strategy. On this point, though, he notes that even complete universality will now seem less “crazy” since India’s Chief Economic Adviser is seriously discussing is it. Indivjal Dhasmana, Sanjeeb Mukherjee and Arup Roychoudhury (September 29, 2016) “With inflation slowing, there is space for monetary easing: Arvind Subramanian” Rediff.com. Avinash Nair (October 3, 2016) “Implementation of Universal Basic Income has many challenges: Arvind Subramanian” The Indian Express. The international poverty threshold is $1.90 per day or about $695/year depending on the exchange rate. 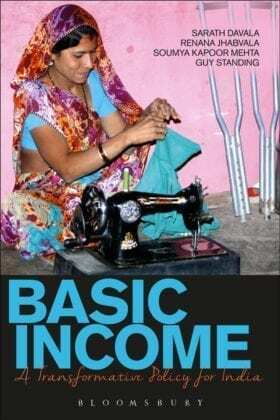 A basic income of 15000 rupees per year is around $225/year. That’s about 68% below the extreme poverty line. Employers may gradually reduce wages by that same amount from working citizen’s wages and abscond off with the government subsidy or the central bank may inflate it away. Adhering to this ‘universal’ ideology rather than mandating a poverty level stipend and tapering it by individual income, basic income may be rightly called basic poverty and their recipients named ‘wilders’, not because they’re students roaming campuses on a quest for parties and a good time, but rather droves of desperate people roaming the streets, willy-nilly, to scavenge for food and shelter with the vermin, using garbage bags to haul off rotting food and double as clothing. I pity the neighboring countries that will see a flood of working citizens speaking out with their feet as taxes rise and corpses pile up. China may have to build another wall. That may gobsmack some, but ‘universal’ sounds so ‘fab’.